Hi guys! 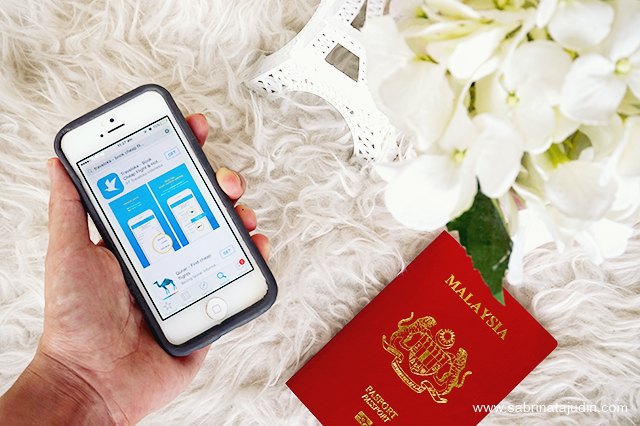 Today I am going to share with you on how I book my accommodations easily and also plan for any future travels anywhere, anytime and easily. As me and hubby are planning to go on a holiday after I gave birth. We never had experience travelling overseas and we have low knowledge on how it really cost. 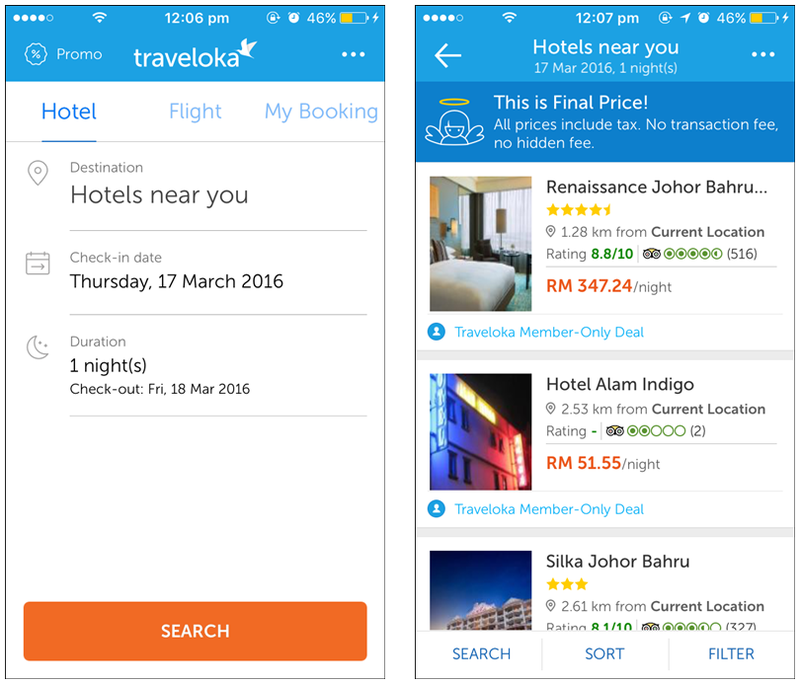 I wanna recommend to you guys on this app called Traveloka. User-friendly and neat interface. I love it! 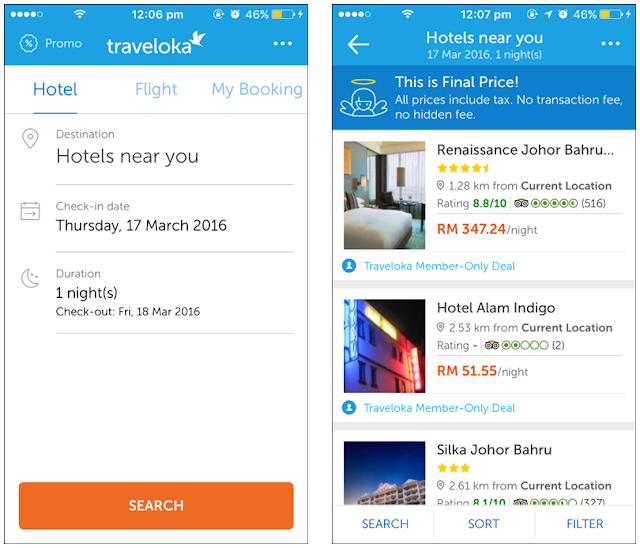 There is also an awesome feature called TravelokaQuick, a faster and quicker way to book hotels and flights using credit card. Come, let me show you the features! Family coming in such a surprise? I do experience this sometimes! Or maybe a surprise trip and you can't really tell any accommodations available nearby. 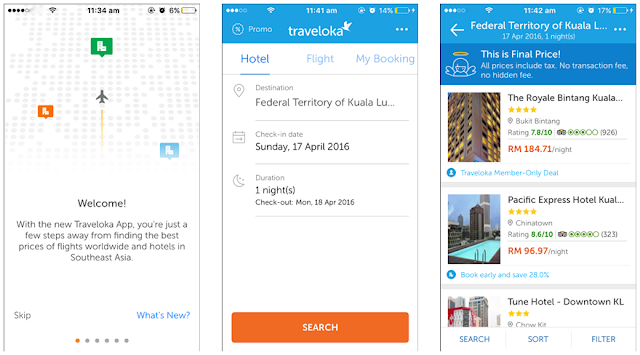 This app has the ability to detect nearby hotels easily from your location. How cool is that. So you be the hero for the day. Of course first you have to download the app! It FREE! No worries. 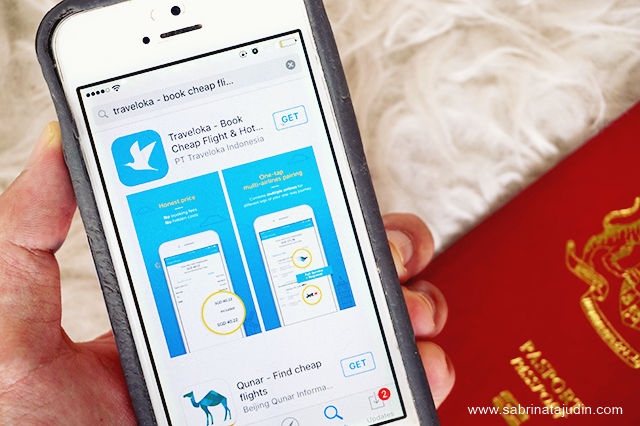 When you have download it, it will give you a simple briefing on how this apps works. On your dashboard or on the front page, located 3 tabs where you can find on top. Hotel (Hotel bookings), Flight (Flight Bookings) & Also My Booking (to check your current/past bookings). There are also the three dots above where you can check your account and settings. The currency can be change for your convenient. During rush time like I always have, I can simple type in my destination ad it will list out all accommodations available. I love how simple and neat the look of this app. 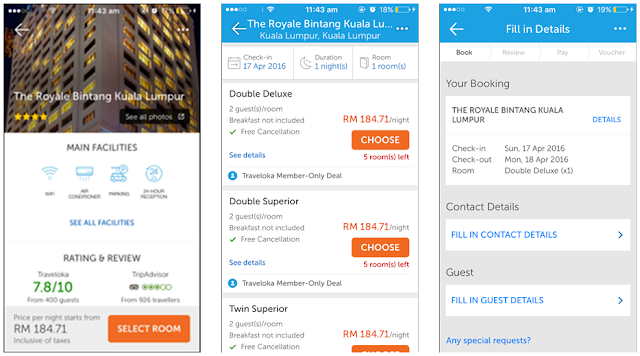 Book hotels has never been easier! The price shown are final price, so you know you be paying that and no more extra charges at the end like some hotel bookings I experience. Since I live in Johor and always need to travel for some work loads, this apps is just right there when I need it. I can right away see the accommodation that I need, and book it right away. Compare and choose from varieties of user-friendly buttons on each hotels that are available. The one I'm showing you are locally, you can also check the accommodation for overseas trips too.Simply change your destination. I could agree to myself that I am such an amature about flights. I can;t even tell the budget and how much the estimation cost to travel to overseas. So when I want to plan ahead and discuss with my hubby on our dream to travel overseas, I simple open the Flight tab and search on the destination. From there I get to see lots of choices, options on flights. I can also learn about more type of flights I can go on board. The estimation price and such. From there I can get the idea. Yep, you can also book your flight right away too! How cool is that! Awesome if you are reading this through your phone, why not download it now! Or simply check the link below for more info! Happy wanderlusting!